Wonderful! Have you ever considered doing a Colony set like in Scarecrow's Selenites? Even just a bonus set of your ants doing mundane things like carrying food, and such would be great. Being ants, they wouldn't require a whole lot of individuality. Just a thought. I bought the Ant Archers and the Ant Warriors, and I agree with Vermin King! 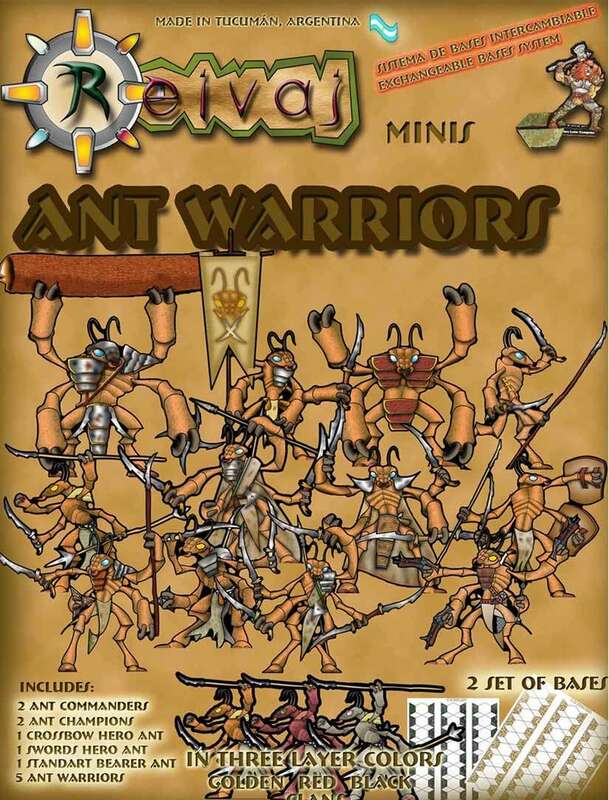 It would be great to have one band of Ant Warriors raiding another band's colony! Also, I would like to have a variety of Ant personality/specialists, and then a bunch of sci-fi Ants, also! I don't know if you've ever watched a trail of ants in the woods or a field, but they carry similar pieces of whatever they are harvesting, carrying them the same way, all looking pretty much the same. One sheet of these guys, with one layer being mystery food, another layer being water sacks or vases, and another being rocks, would be able to generate a huge colony. These guys are better than ever! I asked a while ago for a couple of these guys carrying plasma rifles. They would rock!